A disability charity has started a consultation on plans to close a care home in Northampton. Scope, which runs Hampton House in Lumbertubs, wants to close the facility, which has 20 residents, because they believe it is “old-fashioned”. From today, residents and their families have 45 days to ask questions and put forward their view about the plans to close the care home. Hampton House opened in 1975 and Scope first revealed it was considering closing it in October 2013. Peter Walker, regional director for the disability charity Scope, said: “We want to raise expectations when it comes to disability – and we want our work on the ground to reflect that. We’re really ambitious for all disabled people. 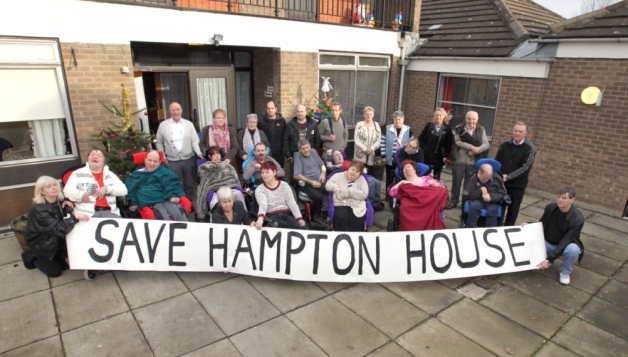 We don’t think a care home like Hampton House where there are four bathrooms for 27 people reflects that. There isn’t a lift to the second floor. “We know that moving home is difficult. We want to reassure everyone that should the proposal go ahead we have a tried and tested plan to give each person the support they need to move to a new home that suits them. Mr Walker said Scope had closed two similar care homes in Oxfordshire and London and was following a “tried and tested” plan to rehome residents. However, Conservative MP for Northampton North Michael Ellis said he wanted the care home to remain open. PreviousWe wouldn’t accept actors blacking up, so why applaud ‘cripping up’?